Welch , Mary Agnes . "Métis National Council". The Canadian Encyclopedia, 03 December 2018, Historica Canada. https://www.thecanadianencyclopedia.ca/en/article/metis-national-council. Accessed 24 April 2019. The Métis National Council represents more than 350,000 members of the Métis Nation, defined as Alberta, Manitoba, Saskatchewan and parts of Ontario, British Columbia and the Northwest Territories. It emerged during the intense constitutional debate over Aboriginal rights in the early 1980s. The Métis National Council continues to champion a culturally and politically distinct Métis Nation with roots in Western Canada, and with outstanding claims to self-government, land and other Aboriginal rights. In 1982, with the patriation of Canada’s constitution, the Métis won protection of their rights and title as one of Canada’s three, distinct Aboriginal peoples named in Section 35 of the 1982 Constitution Act. But, those constitutional rights were largely undefined. In the early 1980s, the Native Council of Canada (NCC, now the Congress of Aboriginal Peoples) represented Métis interests, along with those of non-status Indians. In 1983, in the months before a First Ministers conference meant to clarify Aboriginal rights, Métis leaders became increasingly concerned that the NCC’s pan-Aboriginal structure left the Métis in a minority and would not properly represent Métis interests in constitutional talks. In March 1983, representatives from the three Prairie Métis organizations — the Manitoba Métis Federation, the Association of Métis and Non-Status Indians of Saskatchewan and the Métis Association of Alberta — broke away from the NCC and formed the first national Métis representative body. The Métis National Council (MNC) was founded 8 March 1983 in Regina. Clément Chartier was named the MNC’s representative to the upcoming constitutional talks. Following the 1983 constitutional talks, the MNC expanded its geographical reach, admitting Métis organizations from British Columbia and Northwestern Ontario. It continued to maintain a small office in Ottawa. In 1988, the boards of the member affiliates elected Yvon Dumont from Manitoba as the first MNC president. In the following years, the MNC supported the regional work of provincial Métis organizations and intervened in several key constitutional legal cases that clarified Métis rights. That included R. v Powley, which created a legal test of Métis identity that very closely mirrored the MNC’s definition. In April 2016, the Supreme Court recognized the Métis as Indians under the Constitution. However, this ruling has not completely resolved long-standing issues concerning Métis rights and identity. In 2002, the MNC’s governing council voted to define Métis as “a person who self-identifies as Métis, is distinct from other Aboriginal peoples, is of historic Métis Nation Ancestry and who is accepted by the Métis Nation.” Based on that definition, the MNC estimates there are approximately 350,000 Métis people in Canada. That definition was adopted in large part a year later by the Supreme Court of Canada in what became known as the Powley Test. Since 2004, using that definition, the MNC and most provincial Métis organizations have worked to create an “objectively verifiable” process to determine who is and who is not Métis, in part to bolster negotiations with the federal government over Métis rights. The process involved re-registering thousands of Métis people who were members of provincial organizations prior to 2004. But, the MNC’s definition of Métis, which typically mandates some ancestral connection to the Métis homeland on the prairies, is a source of debate, particularly between Red River Métis and those from Québec and the Maritimes (see Métis Are a People, Not a Historical Process and The “Other” Métis). The five current affiliates of the MNC are the Métis Nation of Ontario, the Manitoba Métis Federation, the Métis Nation-Saskatchewan, the Métis Nation of Alberta and the Métis Nation British Columbia. The MNC also created the Women of the Métis Nation association, which provides a platform for Métis women to promote and preserve their social, political and economic interests. The MNC’s affairs are managed by a board of governors made up of the national president and the presidents of each of the five provincial member organizations. A national president is elected every three years by delegates from each of the five member associations during the MNC’s general assembly. The current president is Saskatchewan lawyer Clément Chartier, who was first elected in 2003. The MNC’s office is based in Ottawa. The bulk of the MNC’s $3 million annual revenue comes from the Government of Canada. Though it is the national voice of the Métis, the MNC has frequently been overshadowed by more aggressive provincial member organizations such as the Manitoba Métis Federation. In more recent years, the MNC has been hindered by controversy, infighting and lawsuits. In 2003, then-president Gerald Morin was suspended after he was charged with assaulting a woman and acknowledged an alcohol addiction. In 2007, a complex dispute between provincial Métis organizations over voting rights and over an extension to President Clément Chartier’s term prompted multiple lawsuits and left the MNC effectively leaderless for a period of months. In 2008, the dispute ended with Chartier’s re-election as president. In 2014, the findings of a 2012 federal audit raised questions about the MNC’s financial and management practices, reigniting the rift between several provincial Métis organizations on one side, and Chartier and the Manitoba Métis Federation on the other. The rift again briefly threatened Chartier’s presidency. Along with several key legal victories that affirmed and expanded Métis rights has come new debate over Métis land claims and self-government. Since 2010, the MNC has been working to create a constitution as the basis for self-government, which will include a proposal to the Government of Canada for the devolution of some powers (along with federal funding) to national and provincial Métis institutions. The move could also include a homeland-wide ballot for the election of the national president that is predicated on one central citizenship list maintained by the MNC. After decades of exclusion from the federal government’s land claim resolution process, several key court decisions, including the 2016 Supreme Court ruling, have rekindled negotiations. In partnership with provincial Métis organizations, the MNC is pushing for clarity around the historic location of Métis settlements, especially in the Prairies, to further the creation of a Métis land base, the protection of harvesting rights and the right to be consulted and accommodated prior to development. John Weinstein, Quiet Revolution West: The Rebirth of Métis Nationalism (Calgary: Fifth House Ltd., 2007). Tony Belcourt, “For the Record: On Métis Identity and Citizenship Within the Métis Nation,” Aboriginal Policy Studies vol. 2, no. 2 (2013): 128–41. 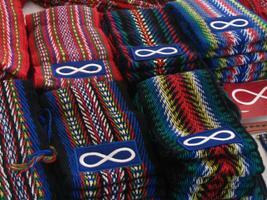 Women of the Metis Nation Learn more about this organization, its views and work. Métis National Council Read more about the MNC and its policies on Métis citizenship. This site also provides links to the websites of the five provincial associations. Métis National Council Speech by President Clement Chartier marking the 30th anniversary of the MNC. The Métis Museum A compendium of Métis organizations compiled by Manitoba Métis historian Larry Barkwell. The Agenda: Being Métis A Discussion about Métis identity. The Métis Museum An online, searchable collection held by the Gabriel Dumont Institute that includes internal documents such as briefing notes and agendas of the Métis National Council.